Man accused of killing wife and daughters had history with police. 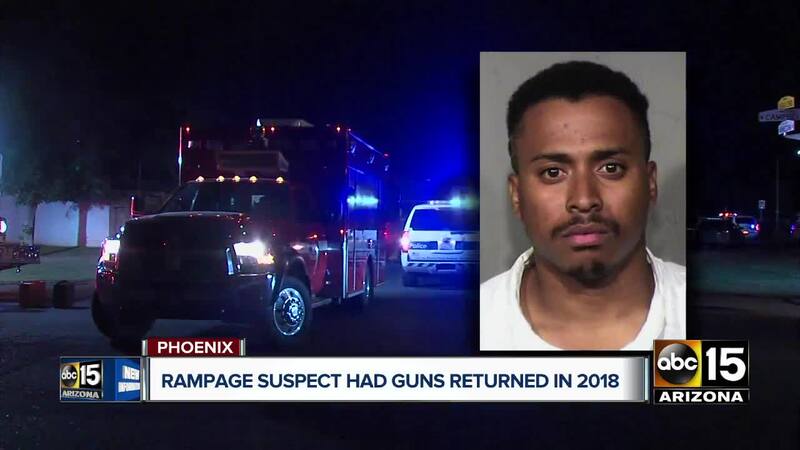 PHOENIX — Police say a Valley man accused of killing four people, including his wife and two young daughters, had his guns taken away in November of 2018 only to be given them back a short time later. Austin Smith was arrested last Thursday evening as he drove from an apartment complex where officers had responded to a shooting. There, they found the body of 46-year-old Ron Freeman. A woman and another man were shot and wounded at the complex, Sgt. Tommy Thompson said. The court document released later in the evening described Smith punching the older daughter, throwing her to the ceiling and onto the floor, then striking the child's head several times with a baseball bat. Thompson described the scene at the apartment complex as chaotic, with firefighters treating victims while authorities did not initially know the shooter's whereabouts. Smith was booked on suspicion of four counts of first-degree murder, two counts of attempted first-degree murder and three counts of aggravated assault, Sgt. Thompson said.